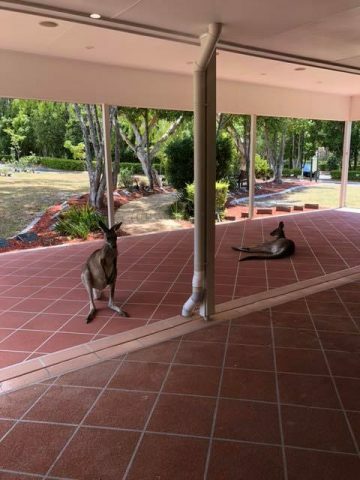 You know it’s hot outside when the local kangaroos take shelter under our portico. They are pretty friendly and are welcomed by staff and visitors alike. It is always exciting to see kids who come along to pay respects to family members when they spot the roos. If you are local and want to show your visitors some local wildlife, feel free to pop in.